Energy preservation and security is a global challenge. There is a global energy shortage, and the way we use and produce energy today is causing greenhouse gas emissions contributing to climate changes. HighEFF will build an internationally leading Centre for strategic research within industrial energy efficiency. Supporting the EU energy targets, HighEFF will enable a 20-30 % reduction in specific energy use and 10 % in emissions. Read more about HighEFF in the complete report at the bottom of this page. His current position is Research Director for the Thermal Energy department in SINTEF Energy Research. Petter earned a PhD in Mechanical Engineering from NTNU in 2006. During his career in SINTEF, he has been active within the fields of CCS (CO2 capture and storage), Bioenergy and Industrial Energy Efficiency. Since 2011 he has been within the management group of SINTEF Energy Research, first as Research director for the Electric Power Technology department and since November 2012 for the Thermal energy department. He was chairman of the board for FME CenBio, is currently member of the board for FME Bio4Fuel and member of the EnergiX program board in the Research Council of Norway. Internationally, he is coordinator of the Joint Programme «Energy Efficiency in Industrial Processes» within the European Energy Research Alliance. You can read the greeting in the full annual report at the bottom of this page. There is more and more fuss about Phase Change Materials, better known as PCMs. Experts say they are close to maturity as solutions for thermal energy storage, both in the industry and in buildings! But what do we actually mean by PCMs, and will they become that important in Norway? SINTEF energy researcher Ingrid Camilla Claussen can guarantee that Norwegian ice cream is more eco-friendly than most. One of the reasons is that artificial and powerful greenhouse gas refrigerants have been replaced by natural media. Soon this will also be the case for the raw materials from which our ice cream is made. Technology development in HighEFF is focusing on propane butane cascade-HTHP technology where environmentally friendly and non toxic natural working fluids are applied, allowing sustainable systems. The vision of HighEFF strongly rely on creating good arenas for cooperation between industry, academia and research partners. Our vision is founded on the words of Professor Arne Bredesen, stating that excellent research best can be produced through three means: Know ledgeFriendship-Teamwork. HighEFF will build upon and bridge the good means through common goals, joint research and teamwork. 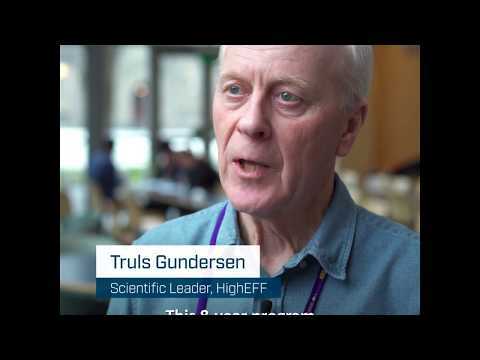 Truls Gundersen, Scientific leader in HighEFF, talking about HighEFF's 8 year program on energy efficiency and it's role in educating PhDs and Post Docs. 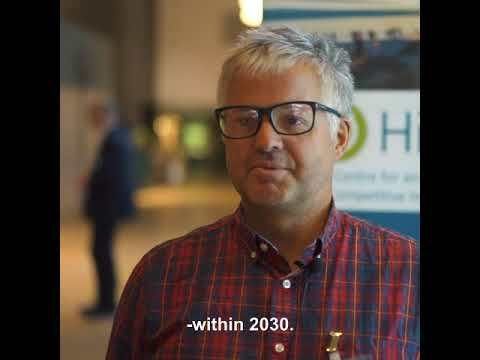 One important task of HighEFF is to educate masters and doctoral students to become the next generation energy researcher and employees for the industry. During 2018, 5 PhD students and 3 postdoctoral fellows have been recruited, bringing the total number of candidates to 22, 17 PhDs and 5 Post.docs. In addition, 8 master students have completed their theses related to HighEFF. Silje Marie Smitt, PhD student at HighEFF talking about some of what she's working on. 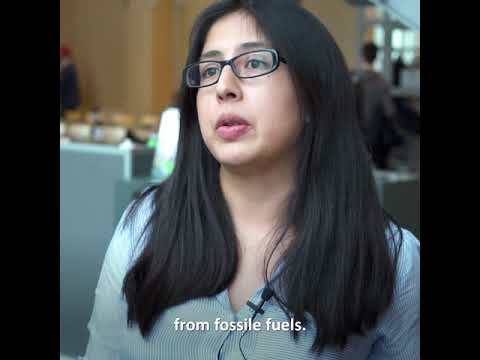 Julia Jimenez on her current projects as a PhD student. HighEFF is organised in 6 Research Areas (RA). Each RA focuses on different aspekts of energy efficiency in industry. Together they work towards creating a competitive, energy efficient and environmental friendly industry for the future. To read more about each RA, and view the 2018 results, click on your desired RA below. In 2018, HighEFF Lab showed great progress, with several new HighEFF Lab installations. Some test facilities are still in the planning and calculation phase, while others are almost up and running. The HighEFF Lab research infrastructures consists of more than 12 different installations. Her facilities; the two new big installations, HerculEx and the Expander test rig, are still in the design phase. The Natural refrigerants Laboratory consists of seven different installations, of which two is more or less in "shake down" or operating mode, four will be ready early 2019 while one is still in the design phase. 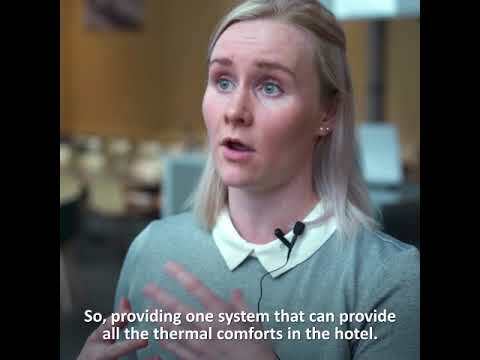 As an example, the propane-butane cascade heat pump with prototype compressors from Dorin has already been in use and the installation can deliver hot water at 115 °C without the use of fossil fuels and is 2.5 times as energy efficient as direct driven boilers. Read more about HighEFF Lab in the full annual report or visit this page.